Flat plate-like heads of deep golden-yellow flowers from June to September and fern-like, light green leaves. 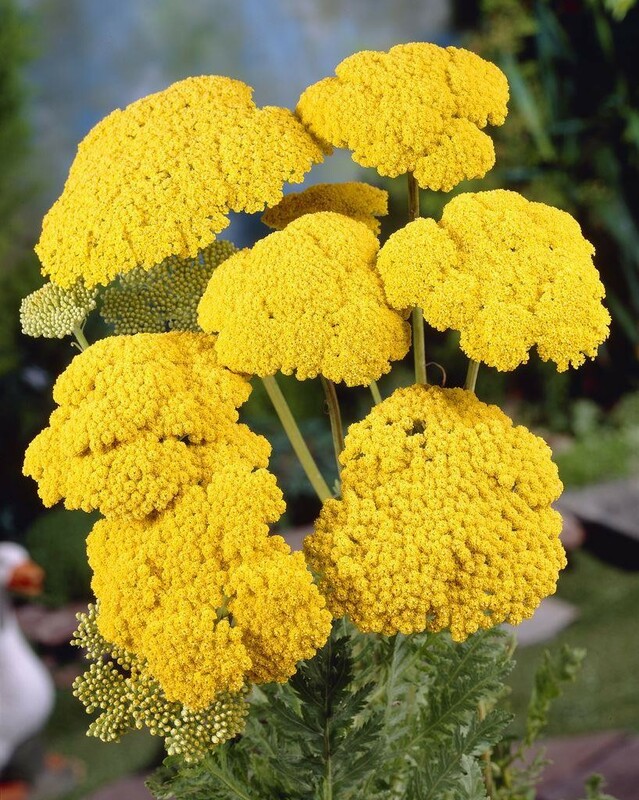 This long-flowering, yellow yarrow is ideal towards the back of a sunny mixed or herbaceous border. Drought tolerant and hardy, it's excellent for use in dried flower-arrangements. Supplied in approx 1 litre containers.